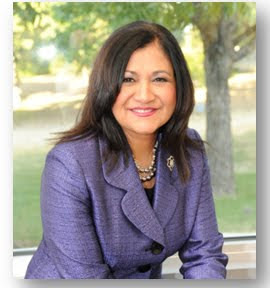 After an extensive national search, Girl Scouts of Southwest Texas (GSSWT) has selected Rose González Pérez to serve as its 12th chief executive officer effective immediately. Prior to being named chief executive officer for GSSWT, Pérez served in the interim position following the departure of then-CEO, Anna Maria Chávez, who accepted the role of CEO for Girl Scouting’s national organization in August 2011. Serving as only the 12th CEO in the regional council’s 88-year history is the culmination of more than 20 years of leadership roles within the Girl Scout organization, making Pérez an expert in membership services, program delivery, fund development, community relations and administration. Pérez joins the elite ranks of former council CEOs, including Mrs. Joe H. (Etta) Ward (1948-1969), as well as Kathy Cloninger (1987-1991) and Anna Maria Chávez (2009-2011) who both became chief executive officer of the national organization following their tenure in San Antonio. A former small business owner in her hometown of Mathis, Texas, Pérez holds a Master of Arts in Educational Leadership from the University of Texas at San Antonio, a B.S. in Education from Texas A&M University-Corpus Christi, and a Certification in Non-profit Management from Case Western University in Cleveland, Ohio. An advocate for cancer awareness and research, Pérez has received numerous awards for her fundraising efforts on behalf of the American Cancer Society.